Subscribe to stay up-to-date on my latest projects! 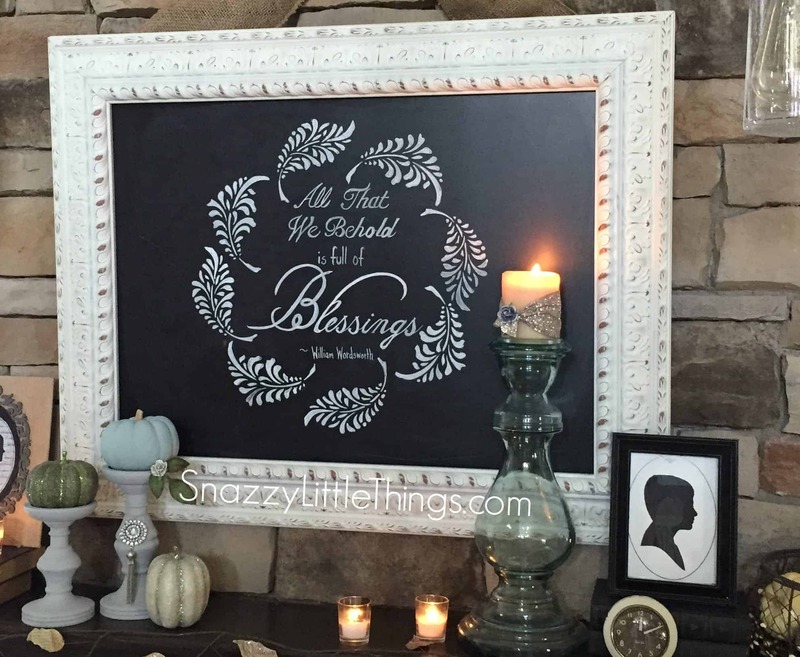 Stenciling has become one of my favorite DIYs. 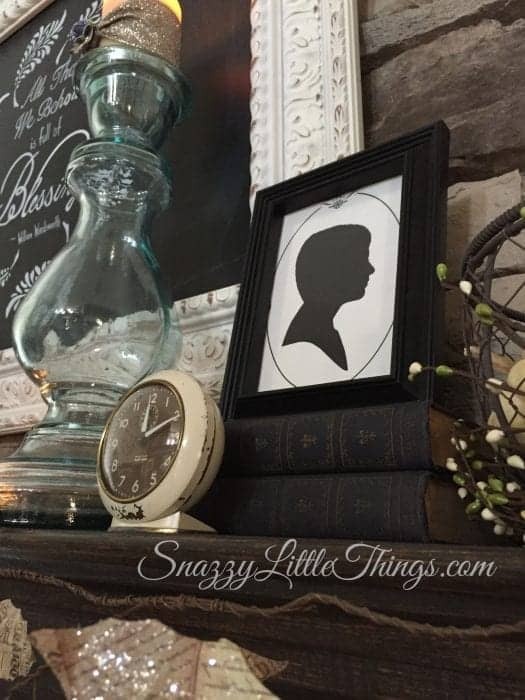 Having a small inventory of stencils on hand has enabled me to transform rooms, create numerous furniture flips, as well as a variety of unique crafts. 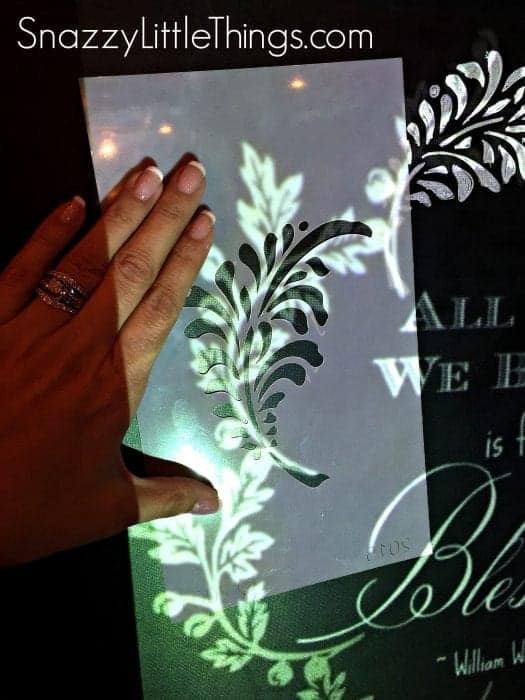 I love the fact that I can use the same stencil over and over again and there are no limits to how subtle, bold, texturized, shiny or matte your stenciling can be. When Royal Design Studio offered to supply me with a Falling Feathers Fall Stencil for Thanksgiving, I jumped at the chance. I love the variety as well as the quality of their stencils. The stencils are very sturdy and terrific for reuse. And the company supports you with a number of tutorials online, a personable staff, and versatile designs. New stencil designs are always being released as well. These are just a few reasons Royal Design Studio has become a favorite among the DIY blogging community. 2. 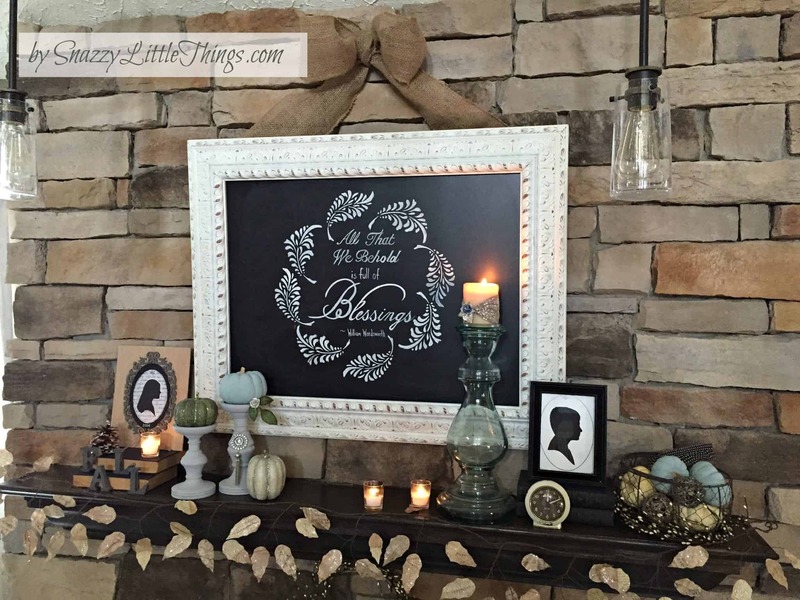 It was time to redo my mantel. So I slept on it for a few days and thought about how I could merge these two projects together. 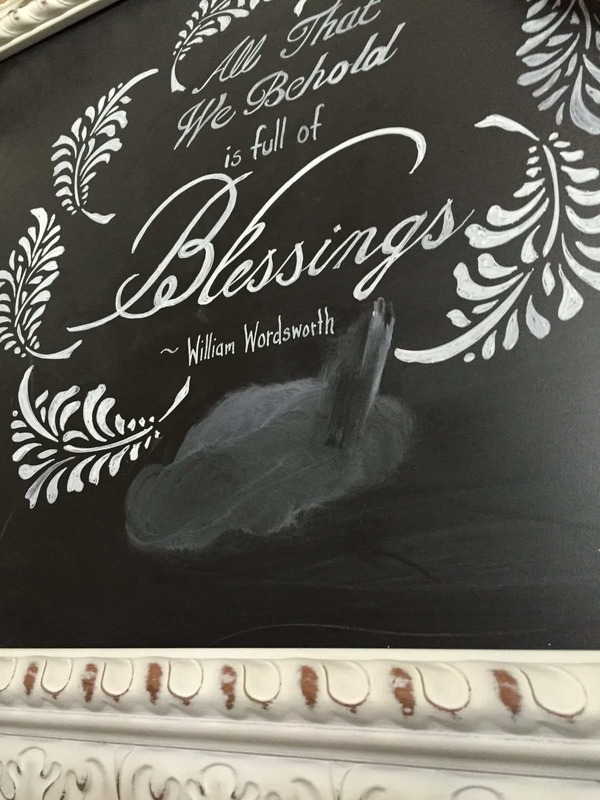 I envisioned an inspirational holiday quote encircled by the stenciled feathers — in a wreath formation. 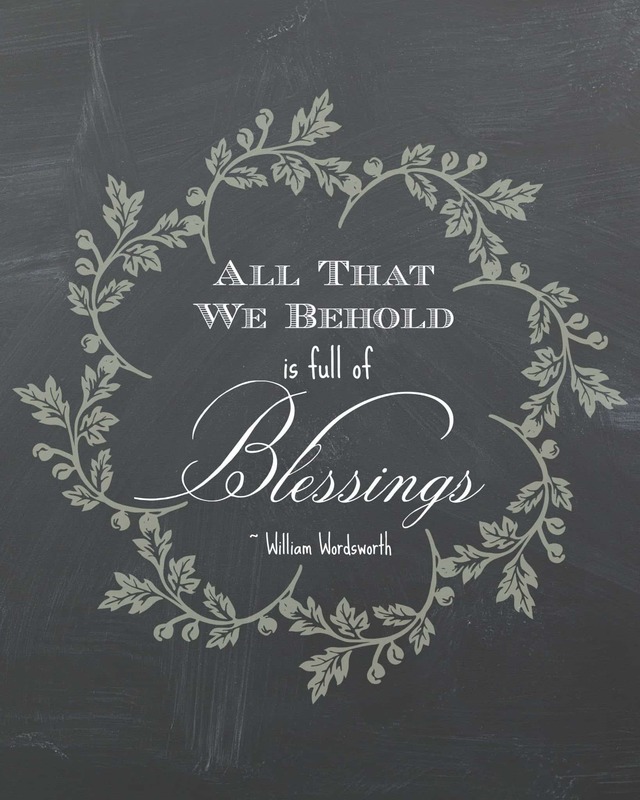 Since I am a visual person, I turned to Picmonkey to help me approximate my design concept. Below is my ballpark idea of what my chalkboard would soon look like. So now you understand how my free printable was born. It’s original purpose was to serve as the template for this stenciling project. Using the concept image above as my inspiration, it was time to enlarge the design for my mantel. (Affliate links included). I pulled my wedding chalkboard menu out of storage, along with my projector (which I love to use, and plan to more often for image transfers). I also used Bistro Chalk Markers from Amazon for this project. Oh, and the best part, my new Falling Feathers Fall stencils. For this project, I only used the two smaller stencils that came in the package. 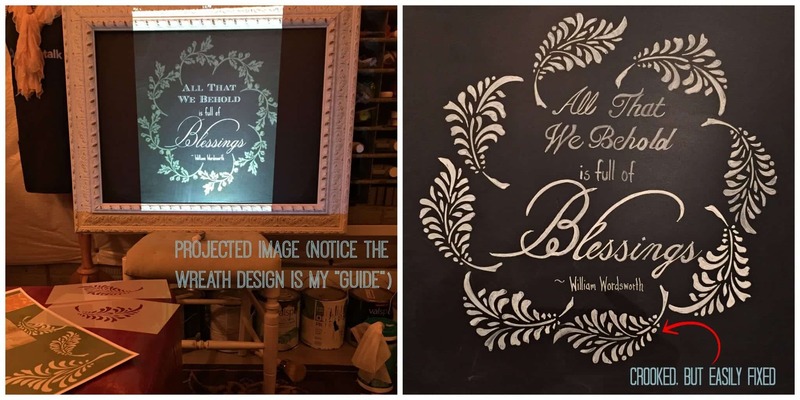 In the picture below, you can see in the background I projected my original image and used it as a placement guide for stenciling the wreath. Another view of the “concept” image (left) and the final stenciled chalkboard transfer (right). Some of the neighborhood kids love hanging out in the “craft room” and doing Rainbow Loom with “Avery’s Mom”. I think they love the creativity and are very curious what I’m up to. I don’t mind at all…they keep me company and it’s cute to see their curiosity. I let them pitch in now and again, too. (But — my projector may have been bumped once or twice, so my alignment was a bit off). This is why I love the flexibility of using chalk pens. Just erase…and redo! Above: to see how to make the silhouette art on burlap, visit this link. 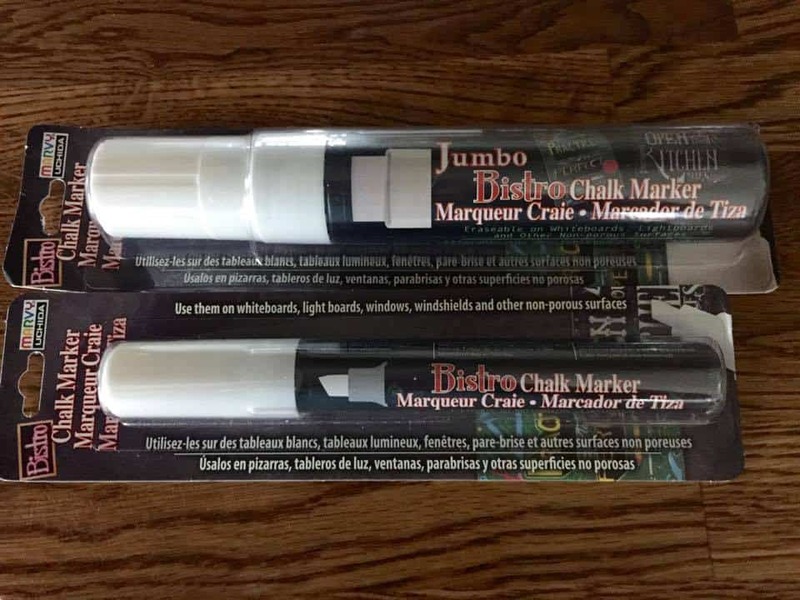 Choosing Your Design: You do NOT need to use every stencil in the package, nor do you need to duplicate what is pictured on the packaging. 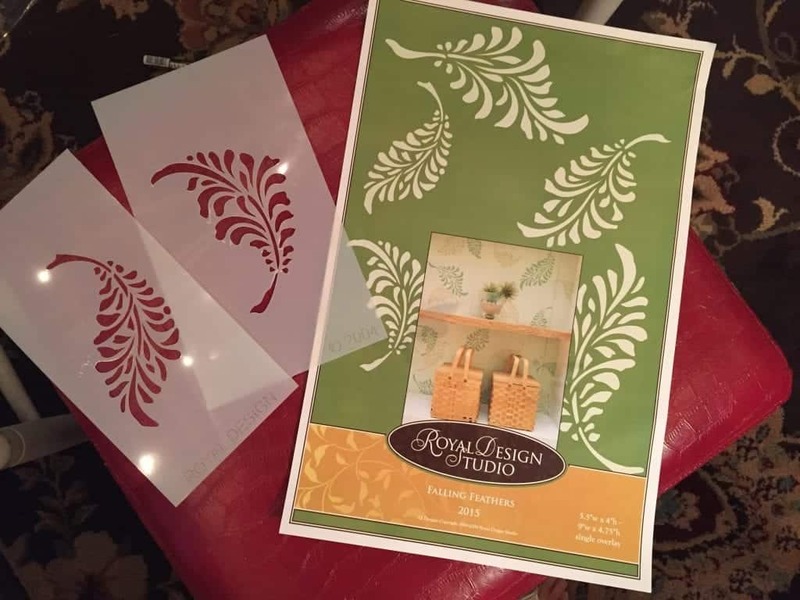 Create your own design, or visit the Royal Design Studio stenciling ideas page for more inspiration. Practice: Create a “concept” design by drawing it or using an online program like Picmonkey.com for free. Another suggestion would be to use cardboard sample boards before attempting your final design. Repeat Use: some of the most economical craft investments I have made are in stencils. A stencil inventory enables a repeatable design process. There are so many creative uses for stencils, and I love having them on hand to change furniture, to make crafts, to add embellishments to stair risers. As you learn a variety of techniques, stenciling can offer an extremely subtle textural accent, or a bold contrast. Whatever mood strikes you. Thank you, Royal Design Studio for inviting me to review your newest holiday stencil. 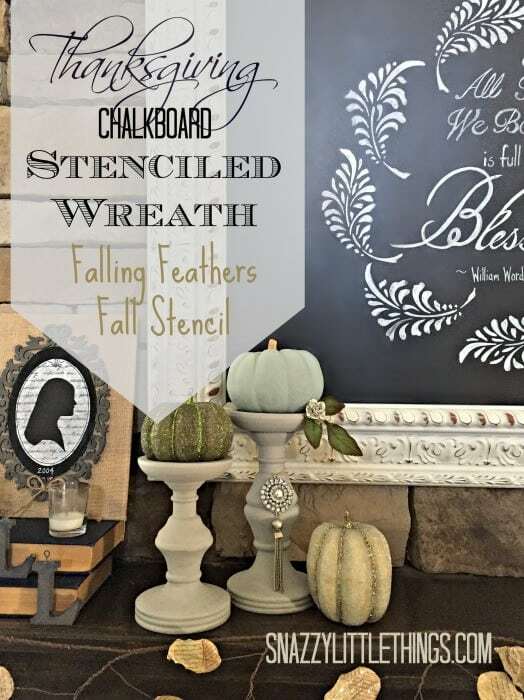 I love the “Falling Feathers Fall Stencil” design and will be sure to use it on future projects! 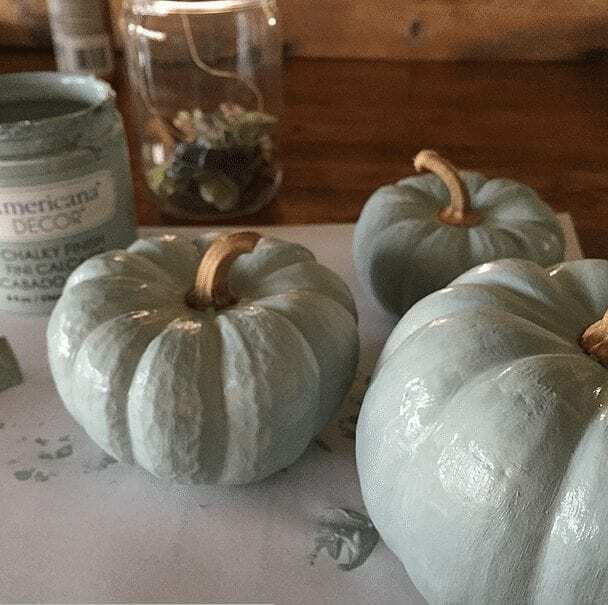 Such a cool and creative idea Jeanette! Looks gorgeous!